For some reason, when many people hear the word negotiating, it sends a chill down their spine. Negotiating isn’t as bad as many think. The worst thing that can happen to you when you try to negotiate is that the other person says no to you. Even knowing this, many people are still fearful of negotiating. Here are a few tips to help you get over your fear and negotiate like a professional. When you are negotiating, you want the other person to know what you want. But don’t confuse this with being aggressive. 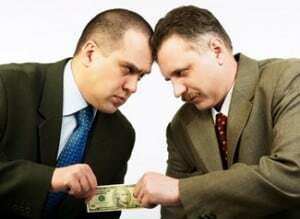 Your goal is to ultimately get the best price for yourself while still allowing the other person to make a profit. Take note when you hear other people negotiating. You’ll hear them talk a lot about what they want. What I mean by this is you’ll hear things like “I’m not comfortable paying that price” instead of talking down to the other person. The more the other person talks, the better. How great is that? All you have to do is listen. Eventually they will say something that will give you a clue into how badly they want or need to sell the item. Listen closely and ask open ended questions. This will ensure that they continue talking for the majority of the time and give them more opportunity to let you know the urgency of the sale. Ask the person how much would they take for the item. If they don’t give you a number or they ask you how much you are willing to pay for the item, respond by saying that you don’t want to insult them. Many times they will then give a price. If they refuse, then throw out the amount you ideally would like to spend, minus a little bit. Let the negotiations go from there. The biggest key to negotiations is that you have to be willing to walk away from a deal. If you get emotionally involved, you are not going to get the best price. For example, my wife was in the market for a new car. She found one she liked and started the negotiations. It seemed as though things were at a standstill and she was going to buy the car. I told her to talk the salesman down some more but she was scared to because she wanted the car really badly. I ended up helping her out and she saved another $2,000 off of the price of the car. I was OK with talking the price down some more since I wasn’t emotionally involved with the car. When it comes to negotiating, you cannot be emotionally involved. Think about it, when was the last time you made a wise decision when you were emotional? Probably never. Negotiating doesn’t have to be the bad thing everyone makes it out to be. In fact, if you do it right, not only are you not really going back and forth a lot, but both parties will come out winners. Just remember to not let your emotions enter the picture, let the other person talk and listen to what they are saying, and don’t be the first to throw out a number. In the end, you will find that negotiations can be an enjoyable experience.